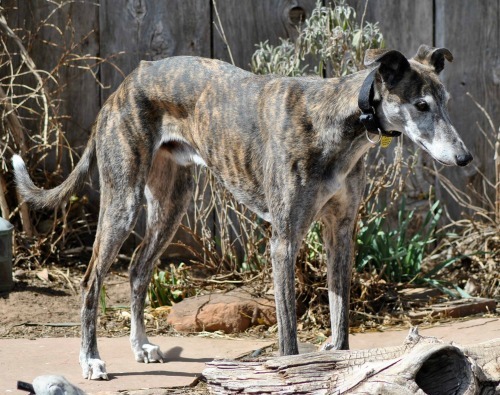 Indiana is a 9-year-old dark brindle male born March 6, 2005. He is not tattooed. 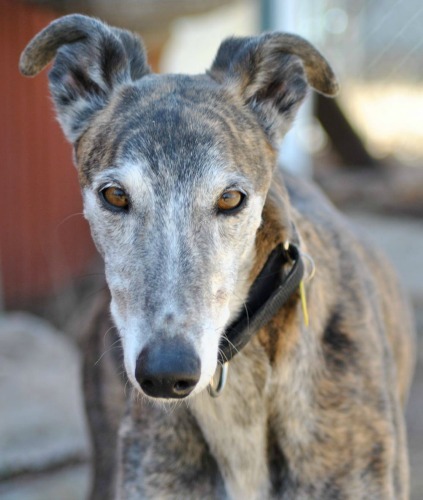 Indiana was surrendered to GALT by a rescuer who got him from a truck driver who was giving him away. Indiana has lived with cats before.